Currently in production, this series of powerpoints will explain all Maths Topics at KS3. This exciting product will contain many examples, so will be an ideal tool for all of your KS3 classes. We expect there to be around 100 powerpoint presentations, with over 3000 slides. We hope to be able to release this product in January 2019 (although we may release individual powerpoints or bundles of powerpoints sooner than this). Once written, all powerpoints will be available to purchase separately for between £2.50 - £8 approx per powerpoint (depending on size). To reflect the quantity of material, we expect that the Full Retail price will be £299, which may increase on release. There will be an introductory discount price (Probably around £150) when the product is first released. 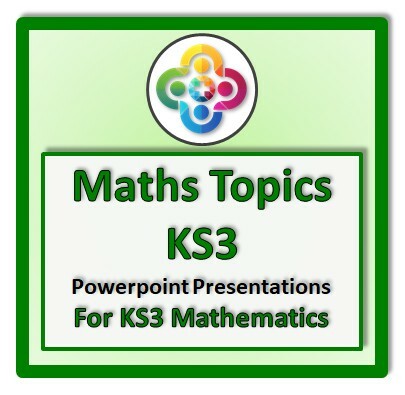 We are also releasing some of the individual powerpoints in advance of the full package, and these are available here in the *NEW* Individual Powerpoints for KS3 section of this website. Many of the Number topics powerpoitns for KS3 are now written, so if you'd us to list one on here, please let us know and we'll release it if it's ready.